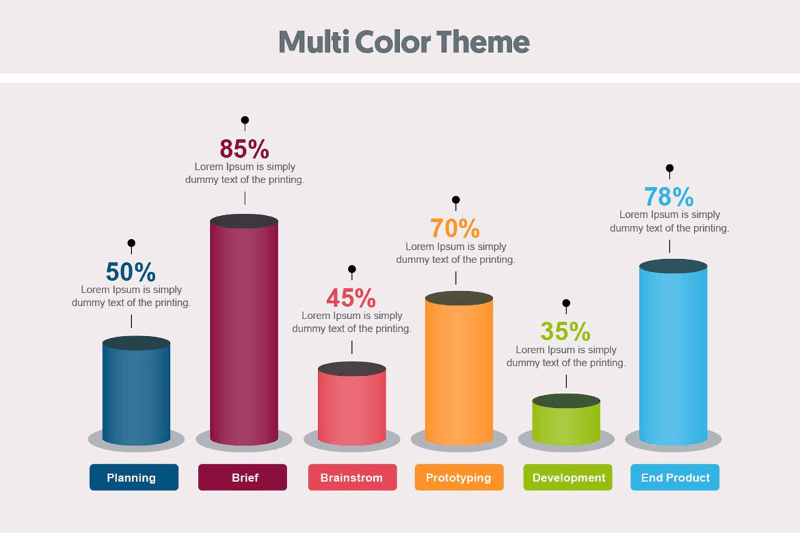 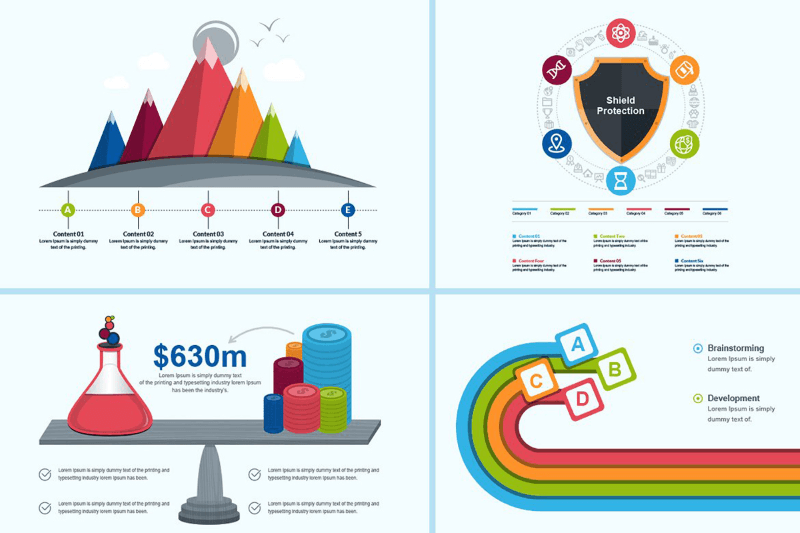 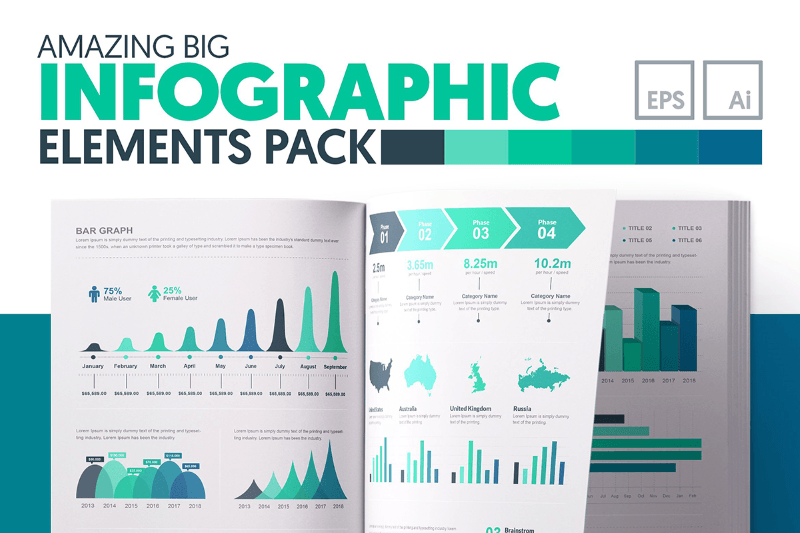 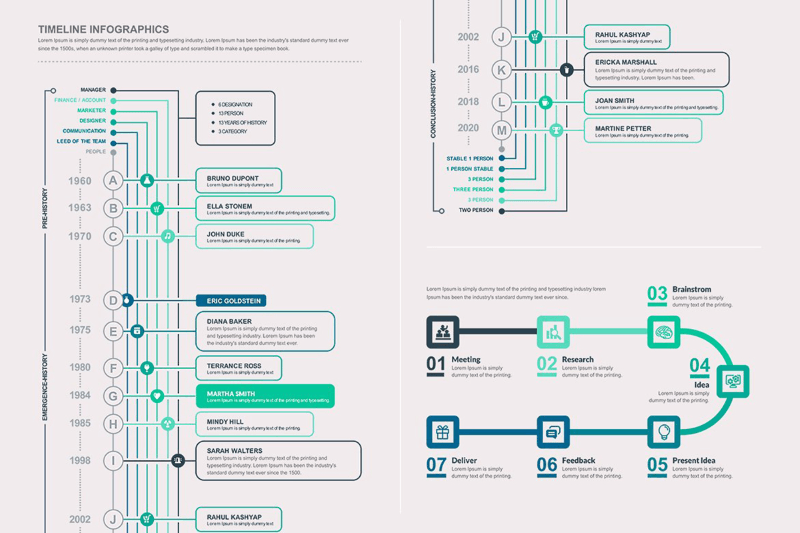 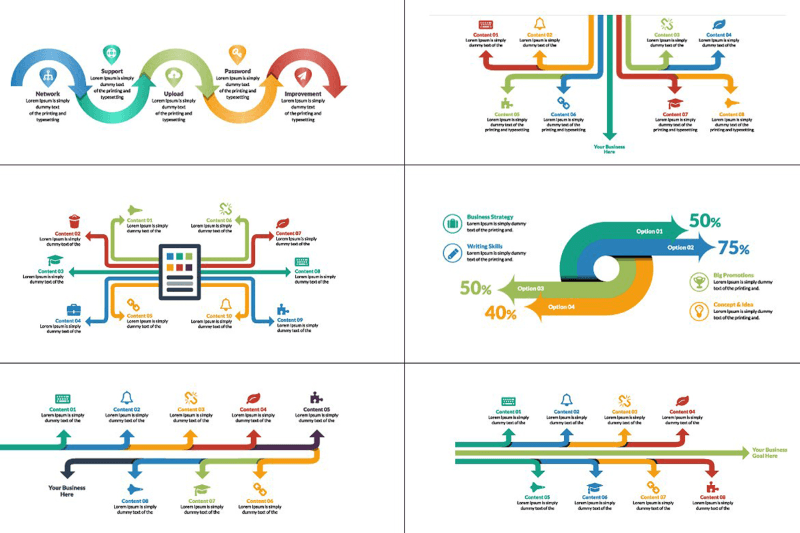 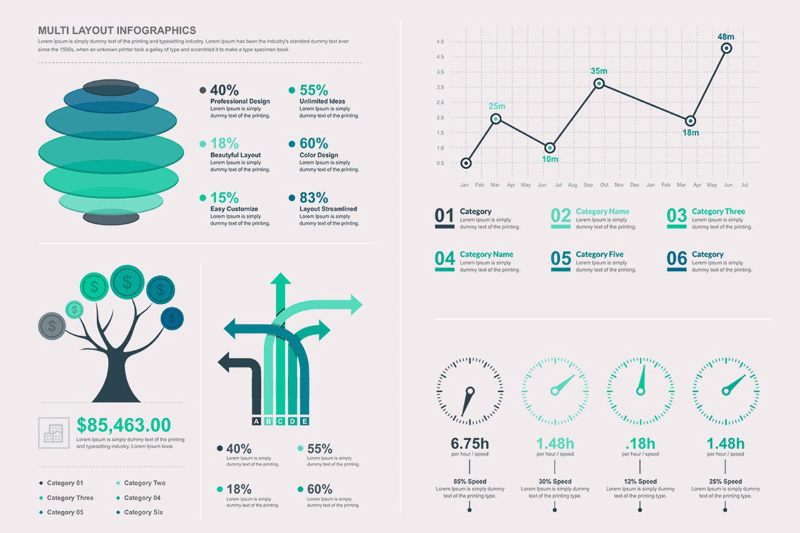 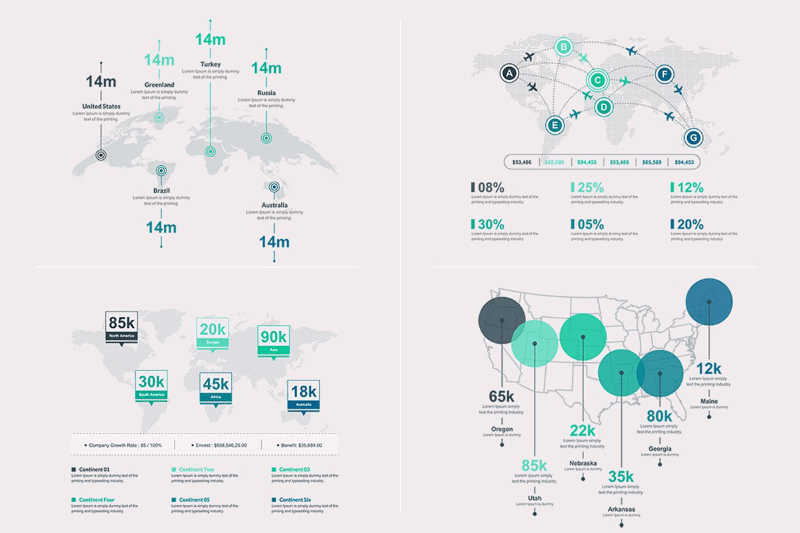 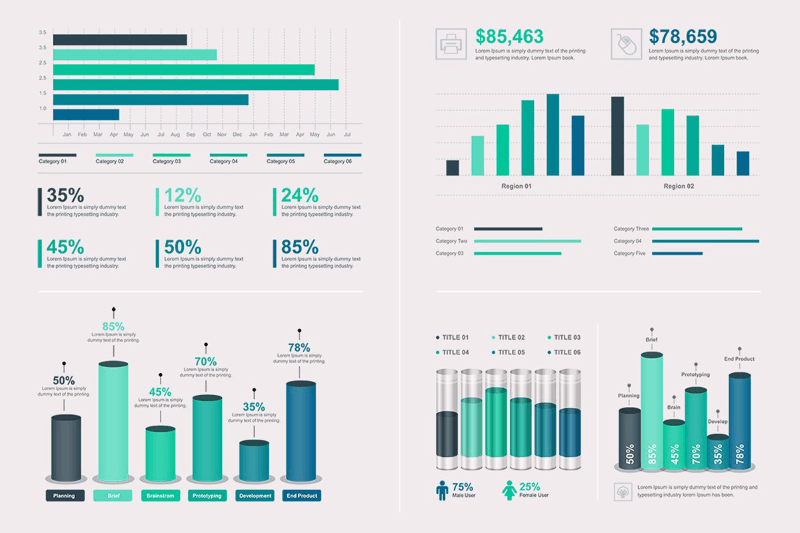 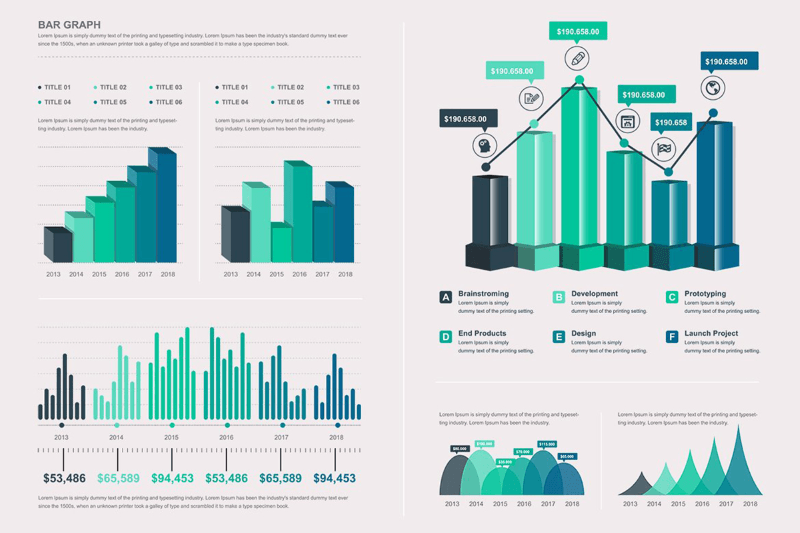 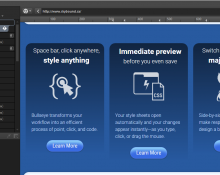 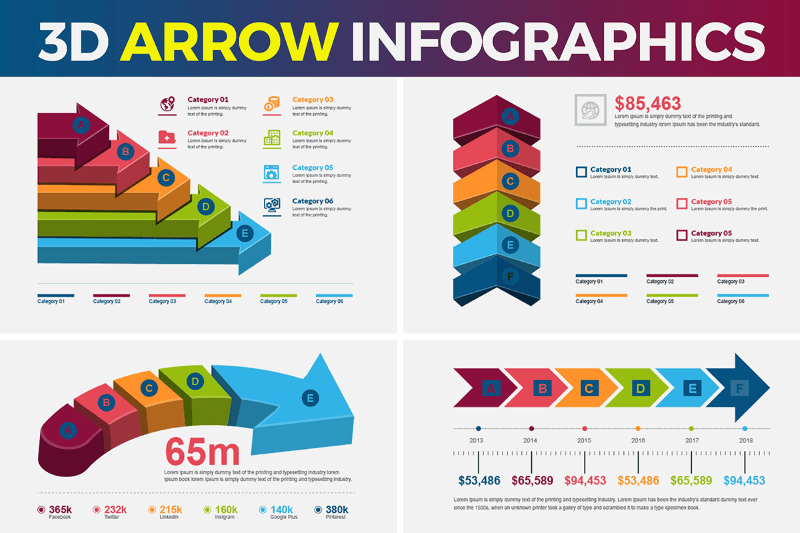 A big inforgraphic bundle featuring 150 ready made infographic templates with 900+ vector elements editable in Adobe Illustrator as well as free alternative software such as InkScape & GIMP. 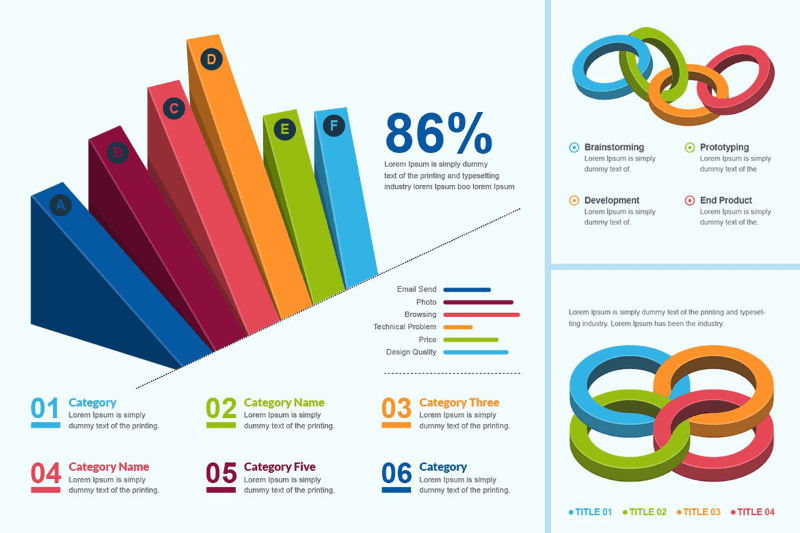 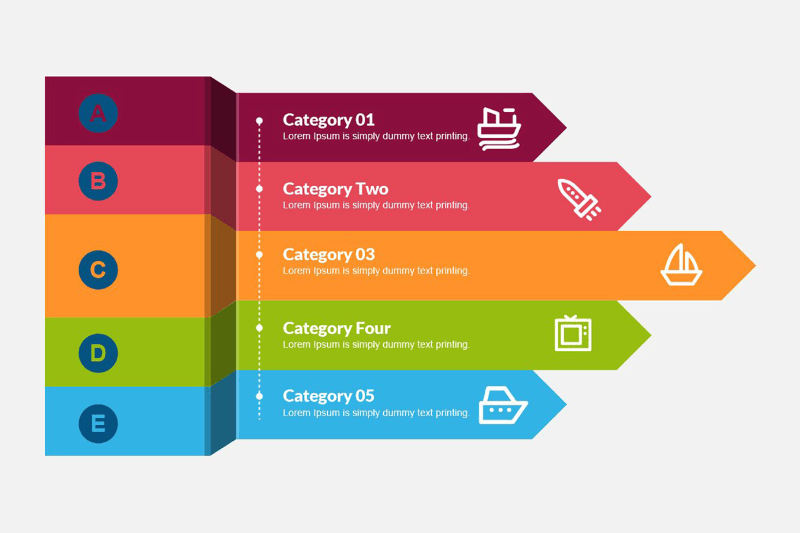 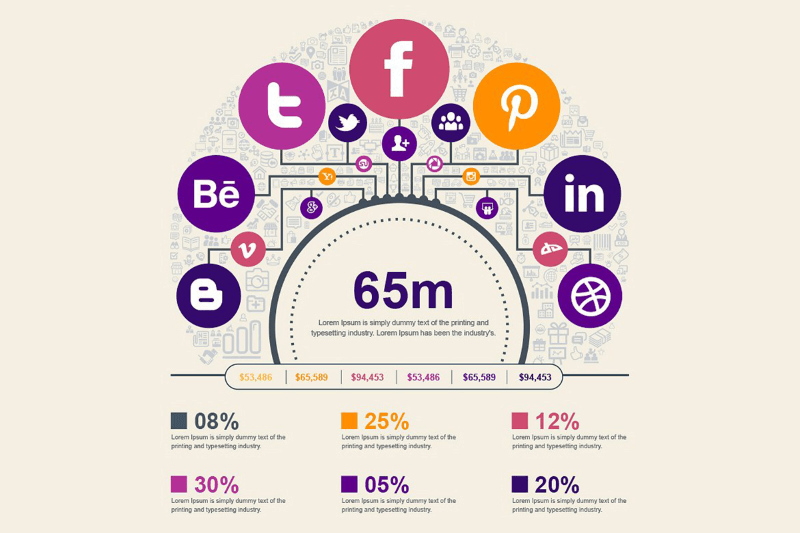 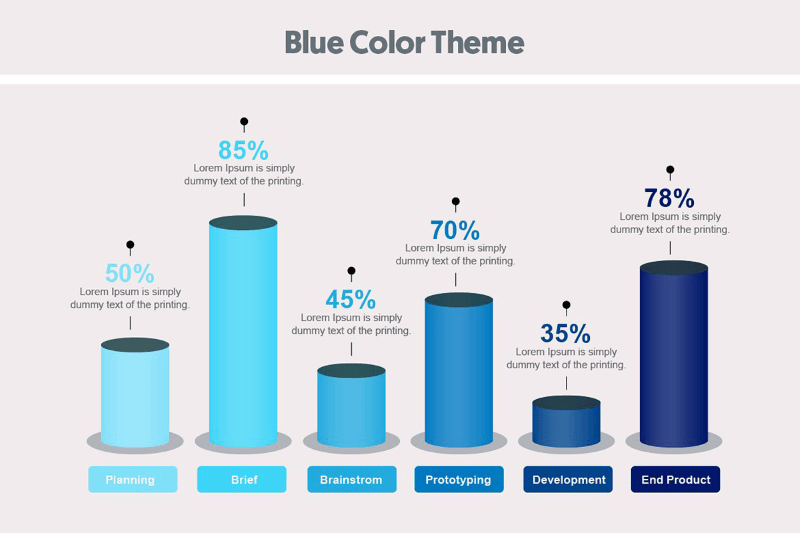 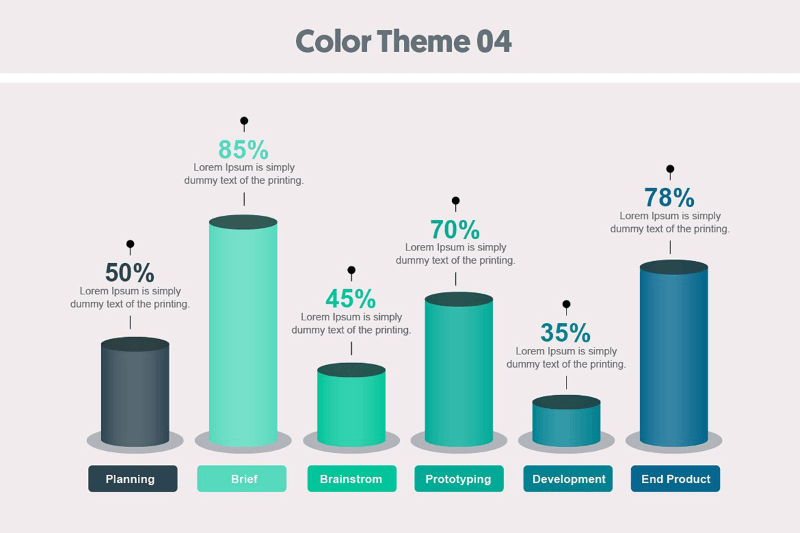 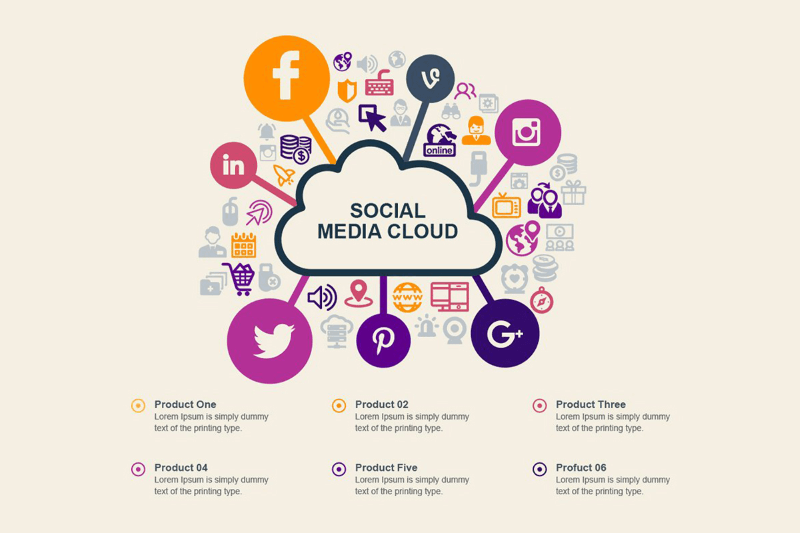 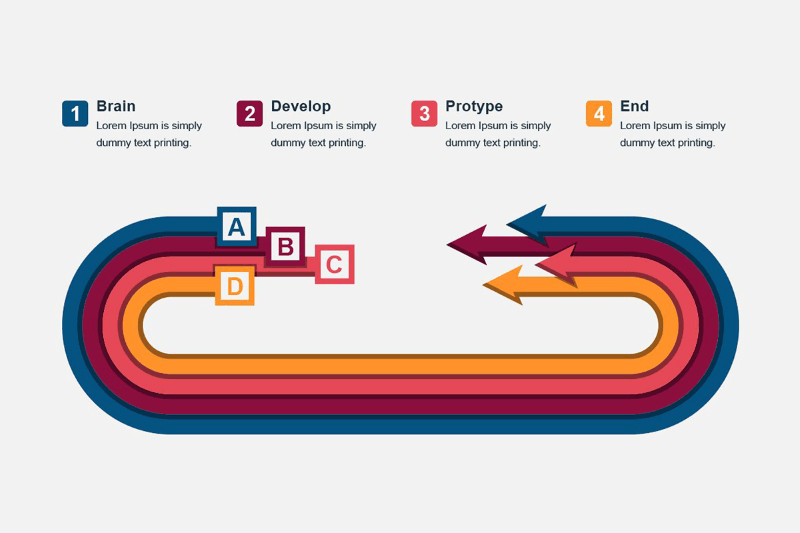 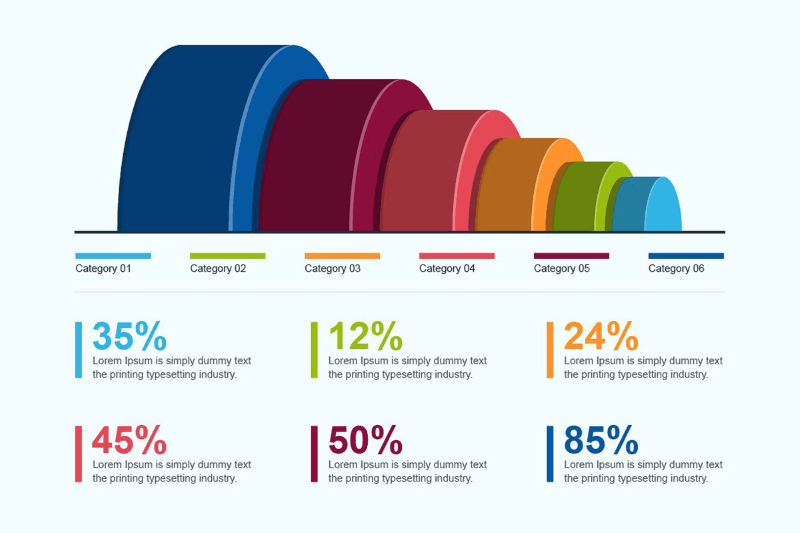 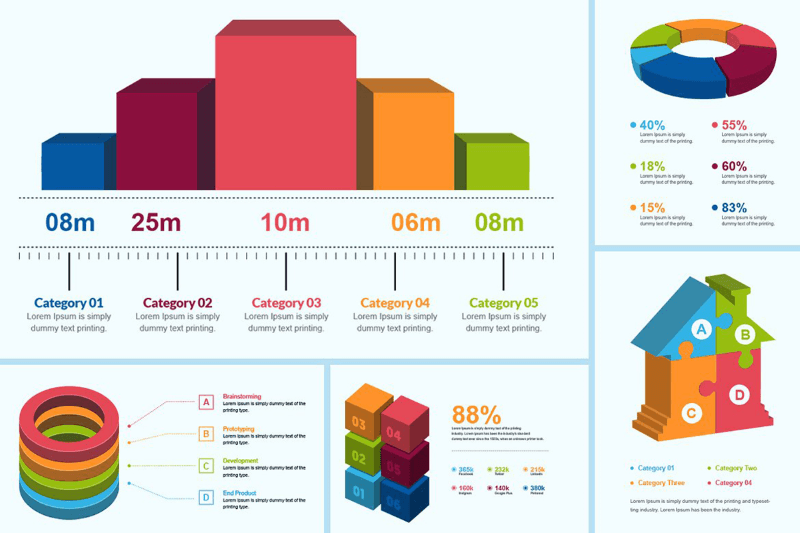 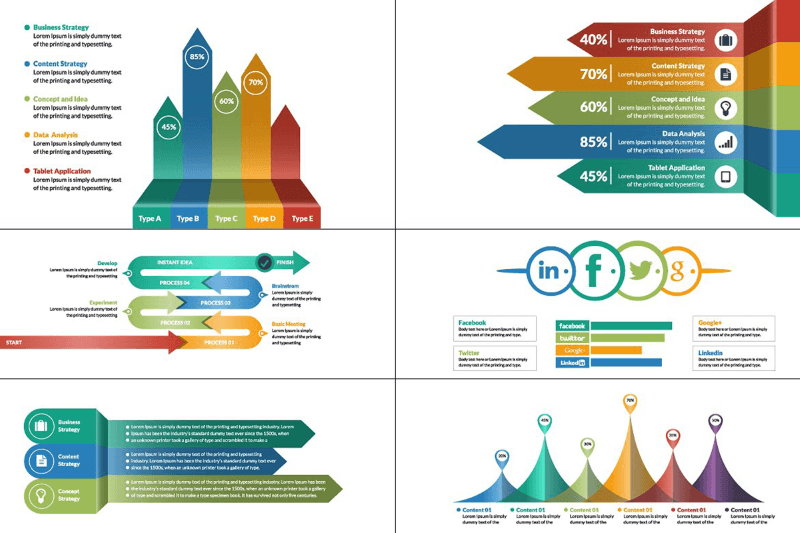 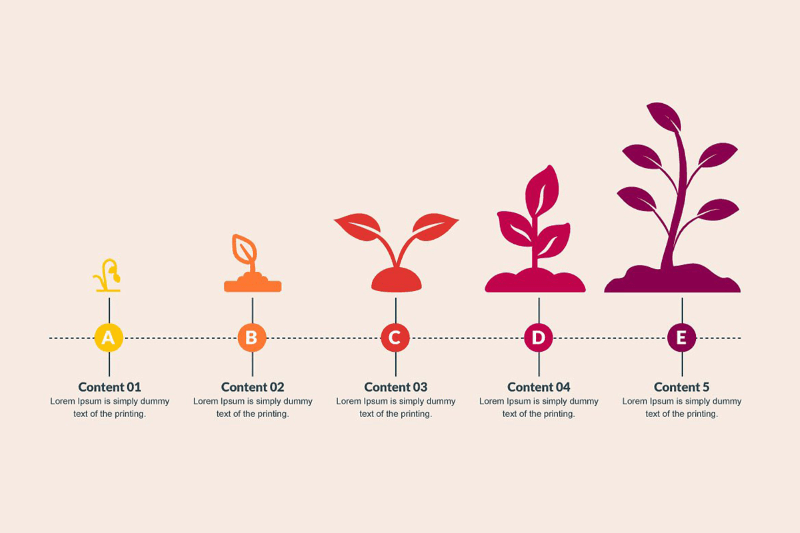 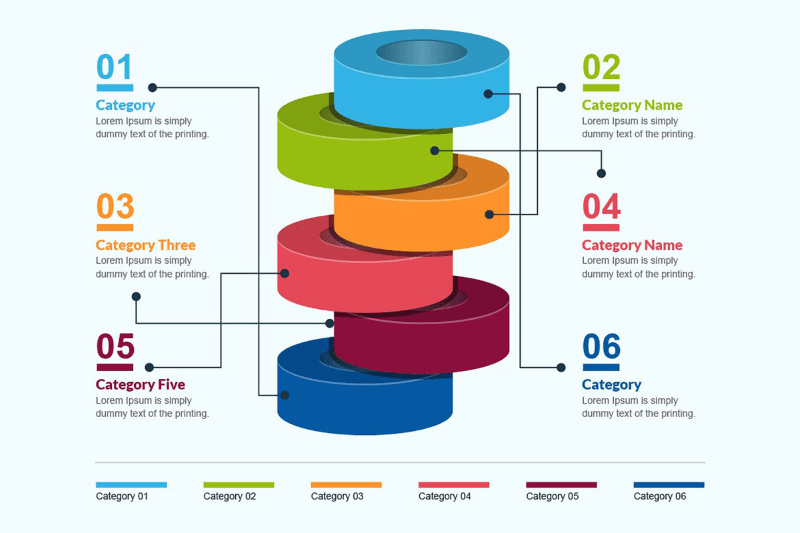 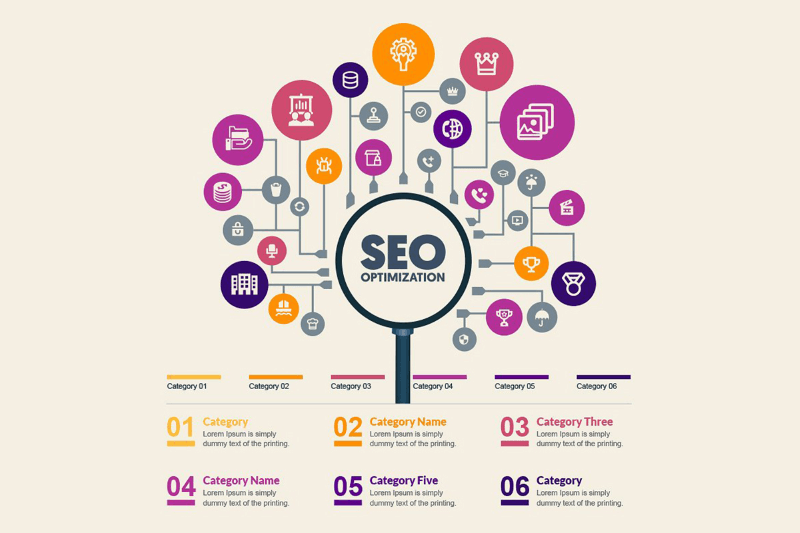 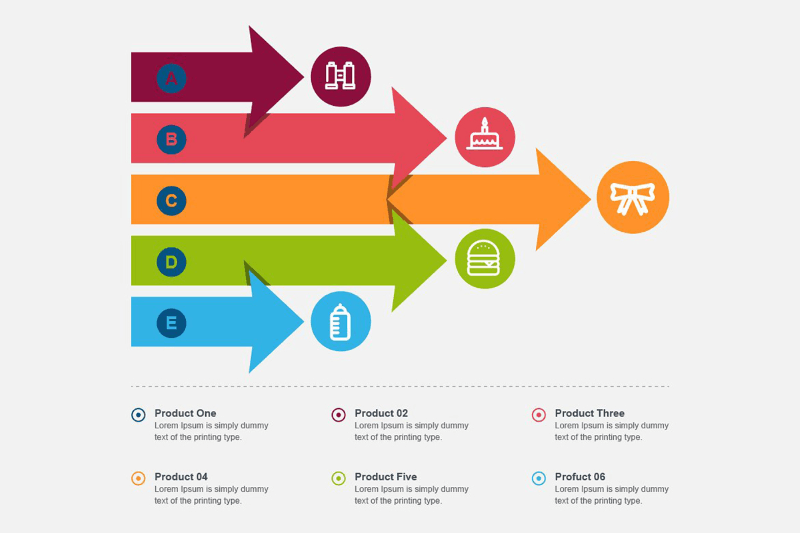 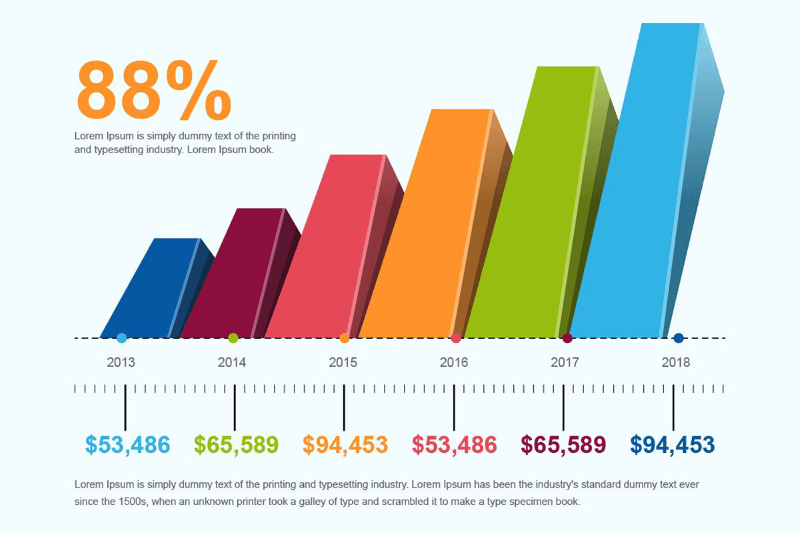 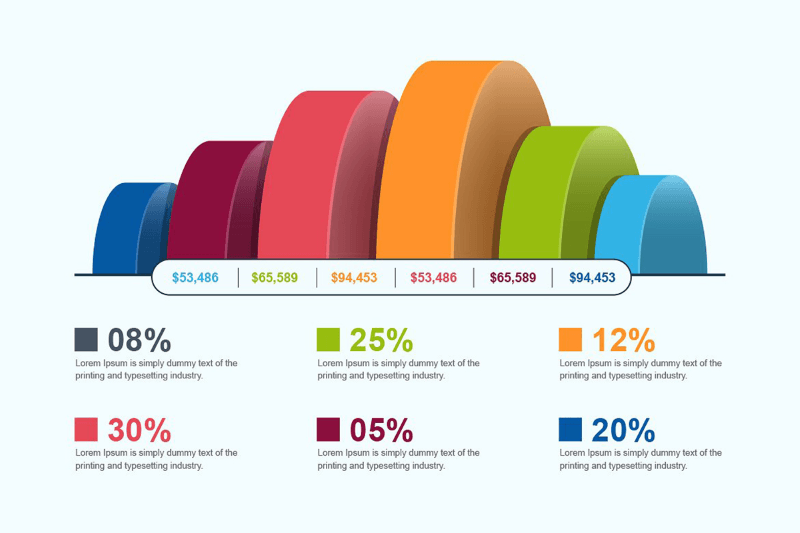 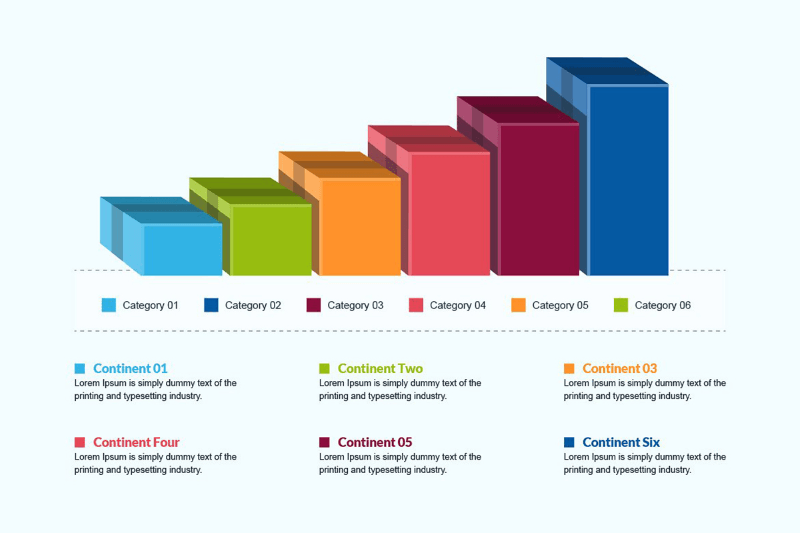 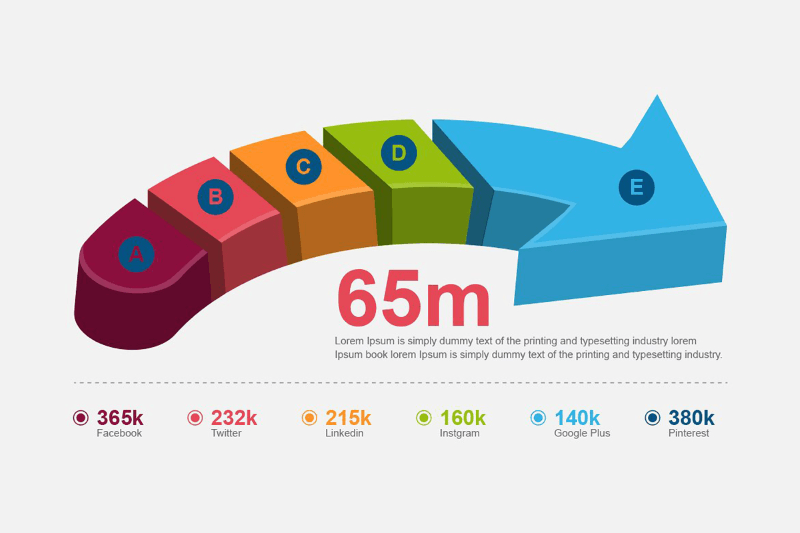 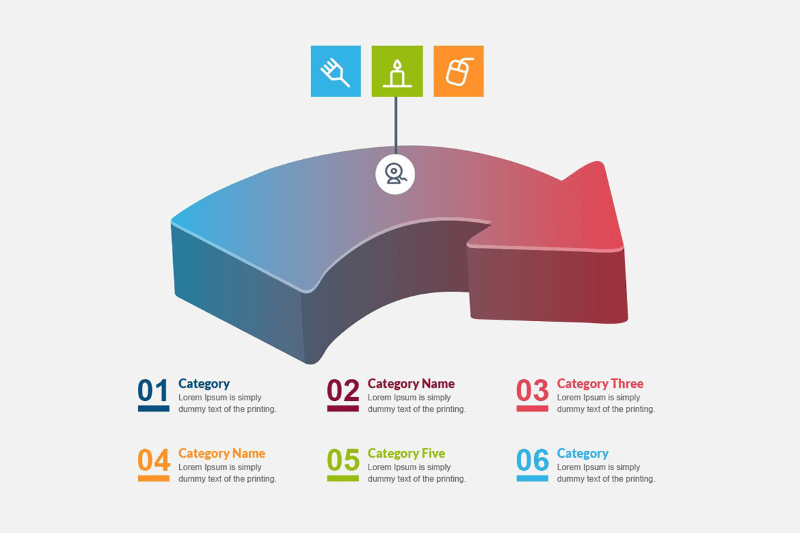 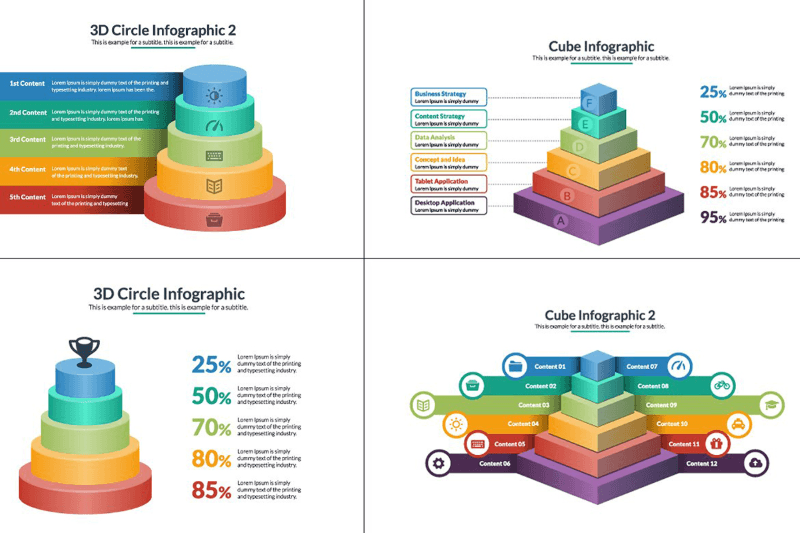 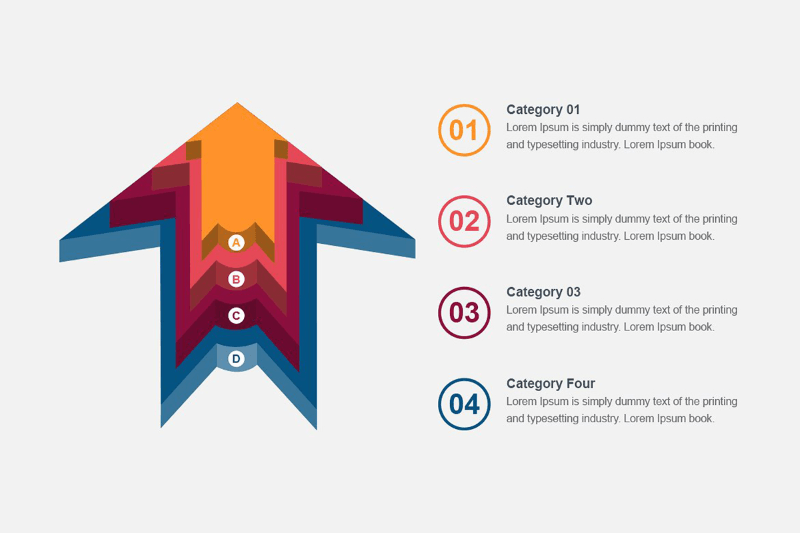 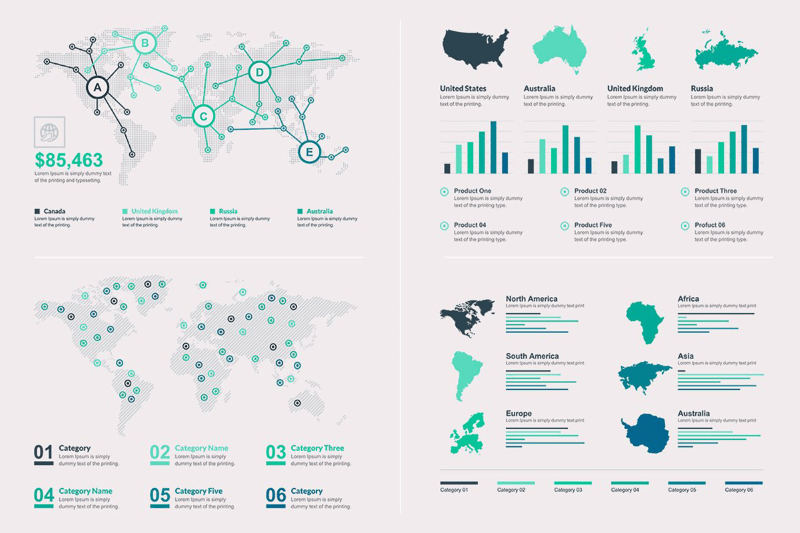 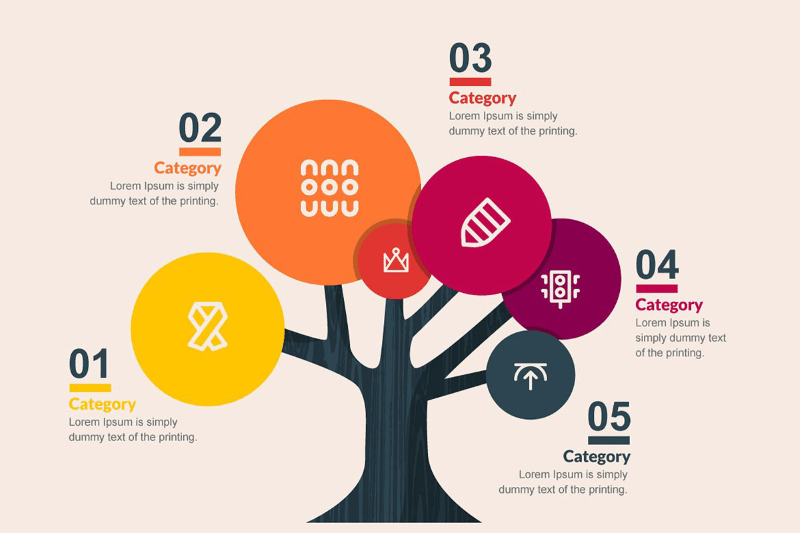 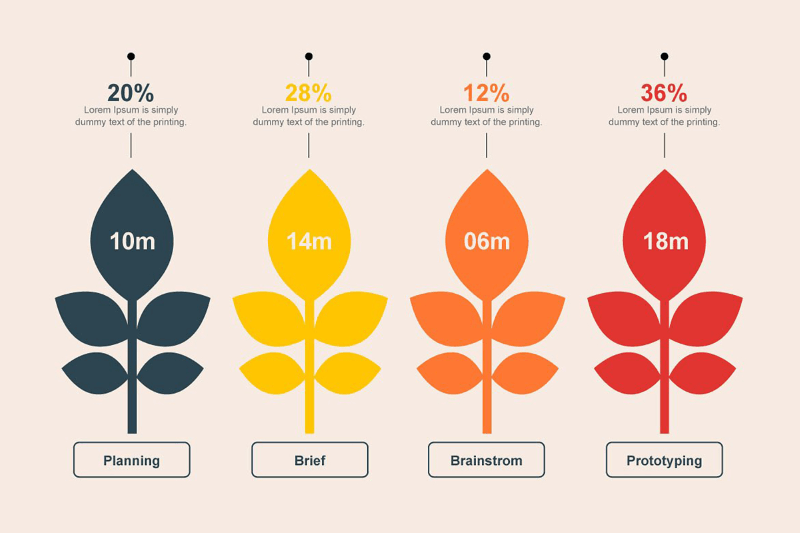 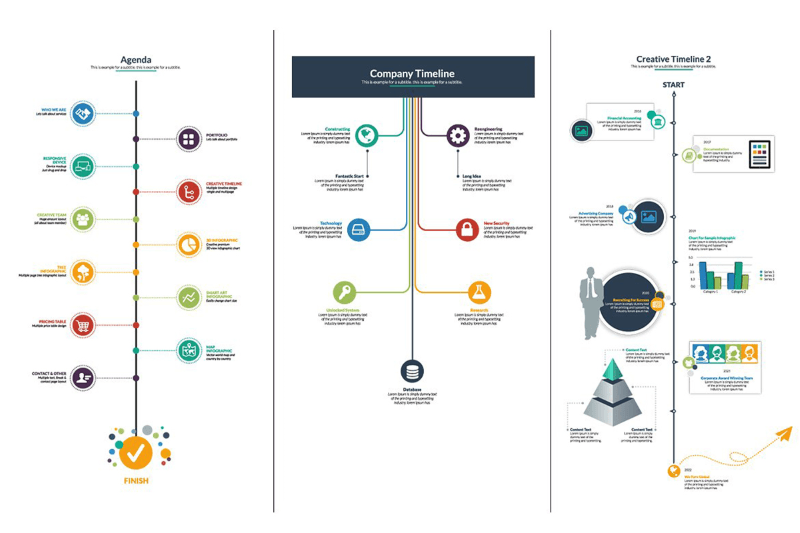 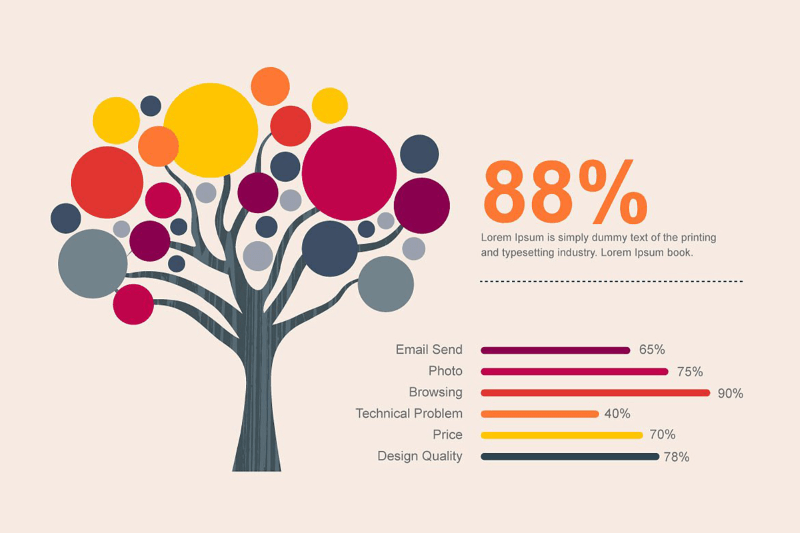 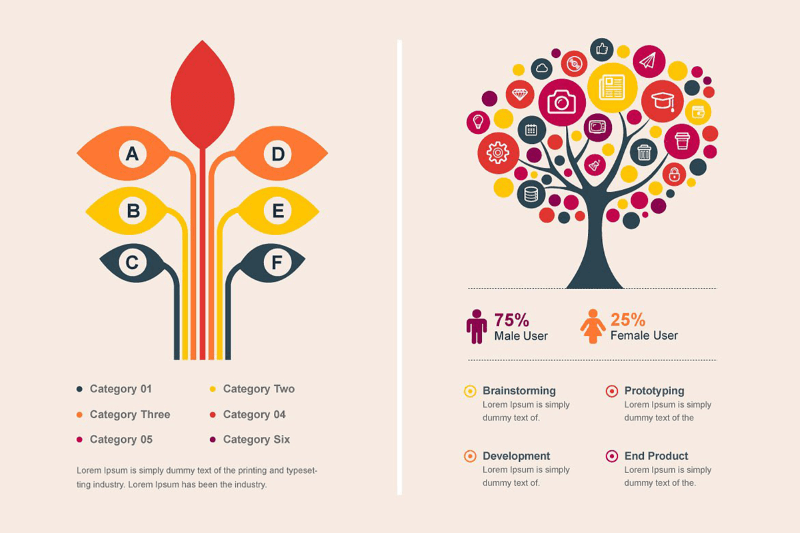 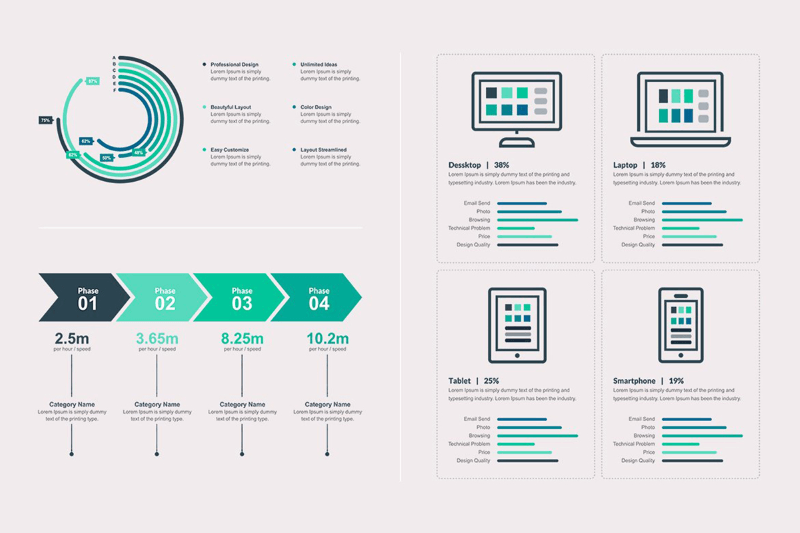 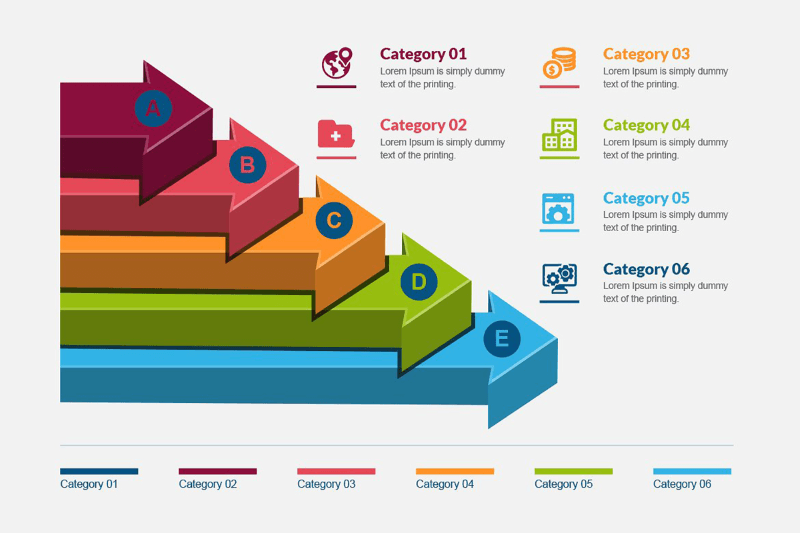 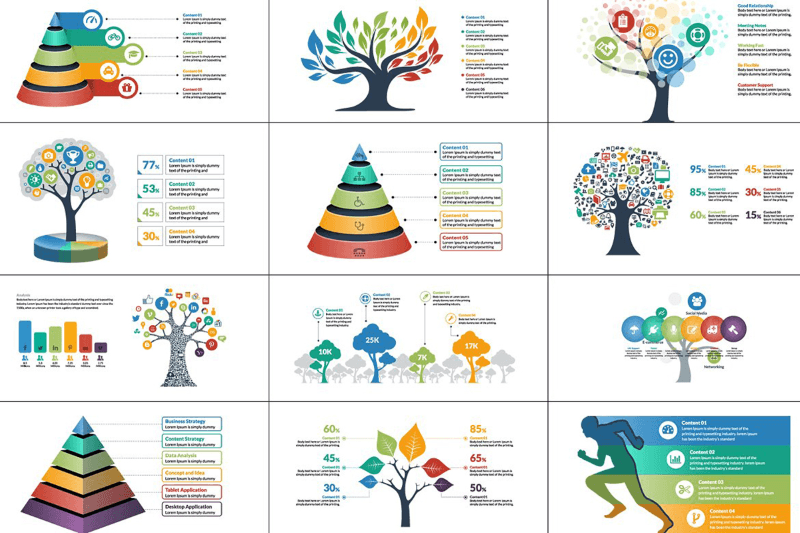 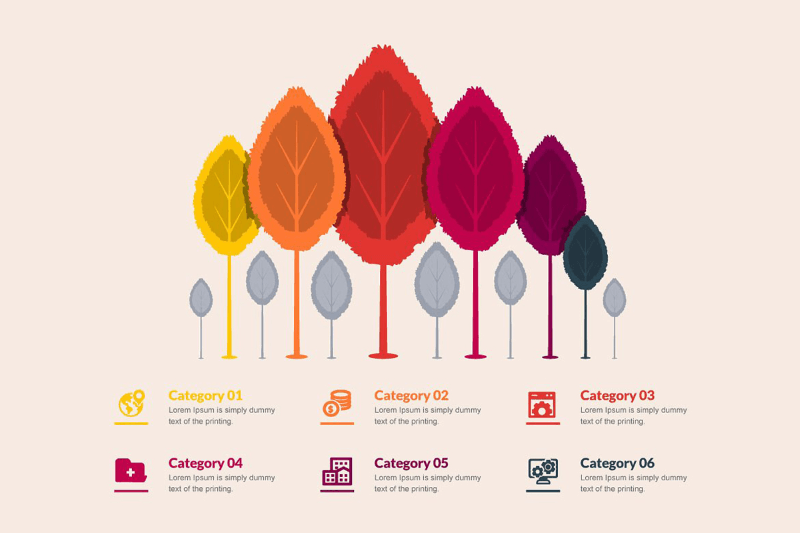 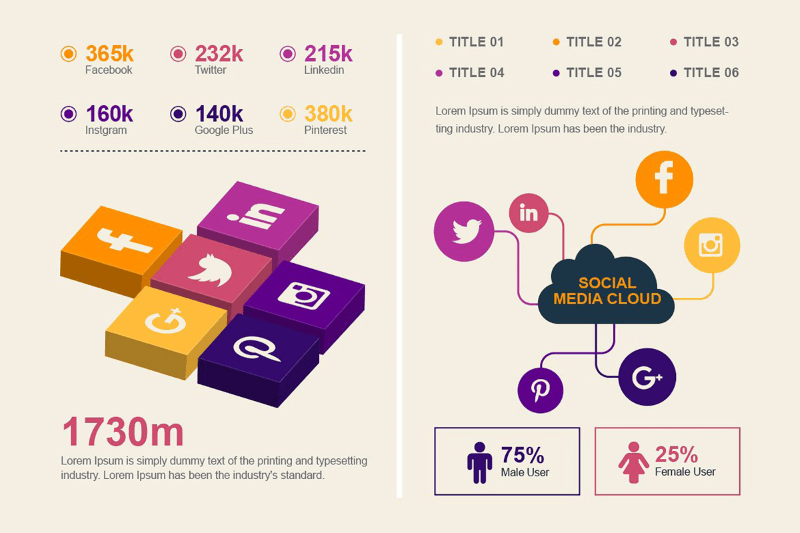 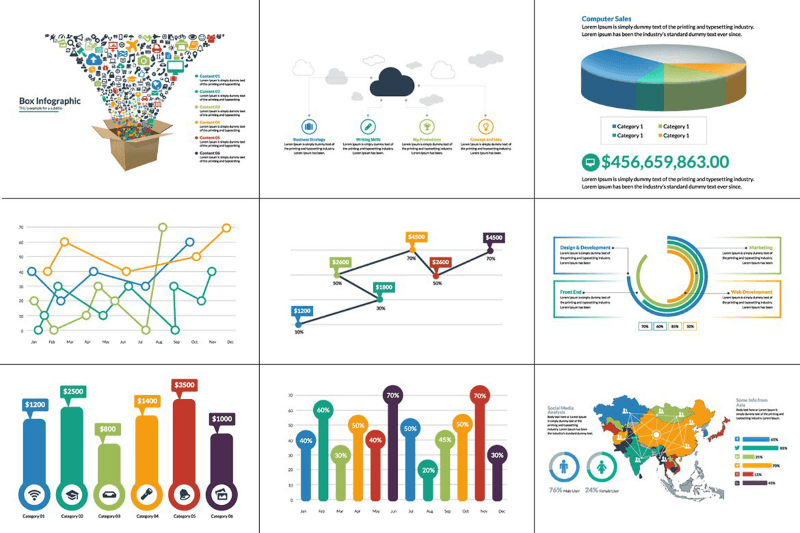 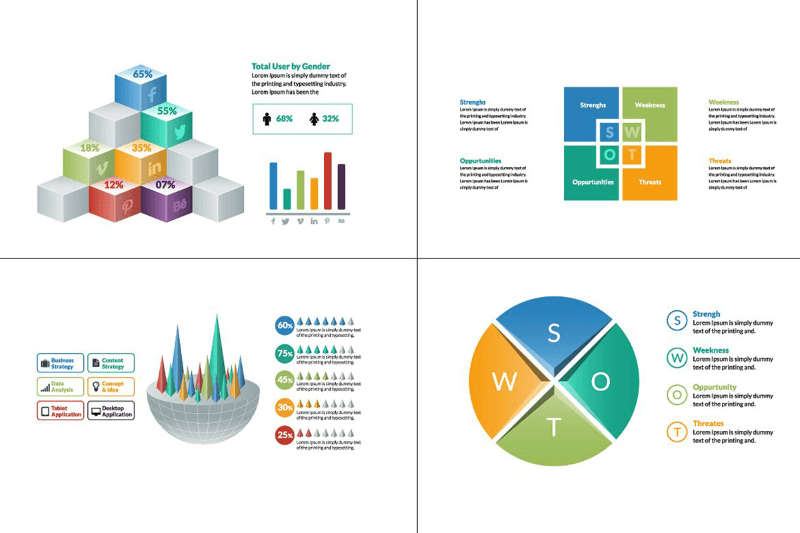 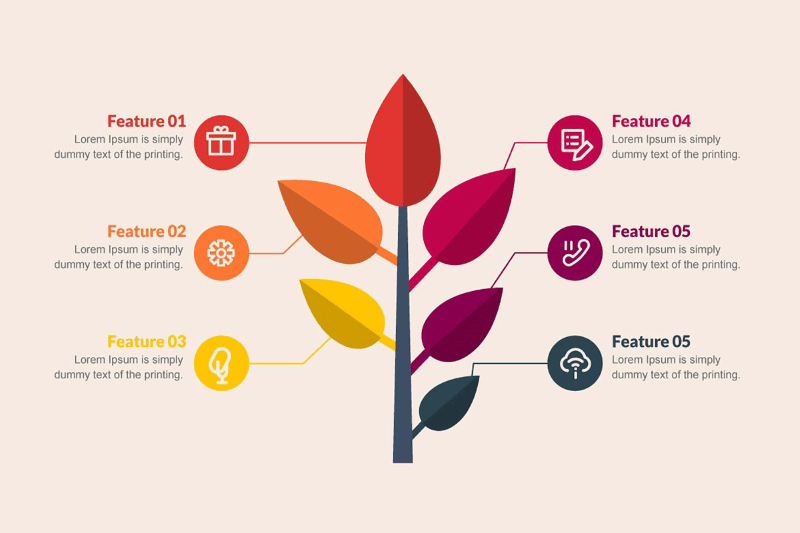 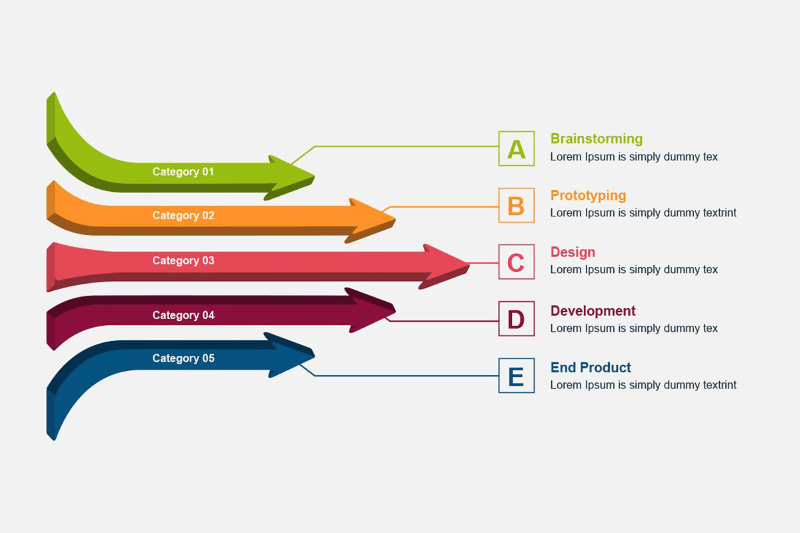 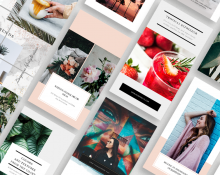 You’ll find vector infographic shapes like arrows, graphs, social media charts, pyramids, timelines and much more in Ai & EPS file format, and you can mix & match to create your own template, or easily edit the text, font & colors of a ready made template to use for print/web straight away. 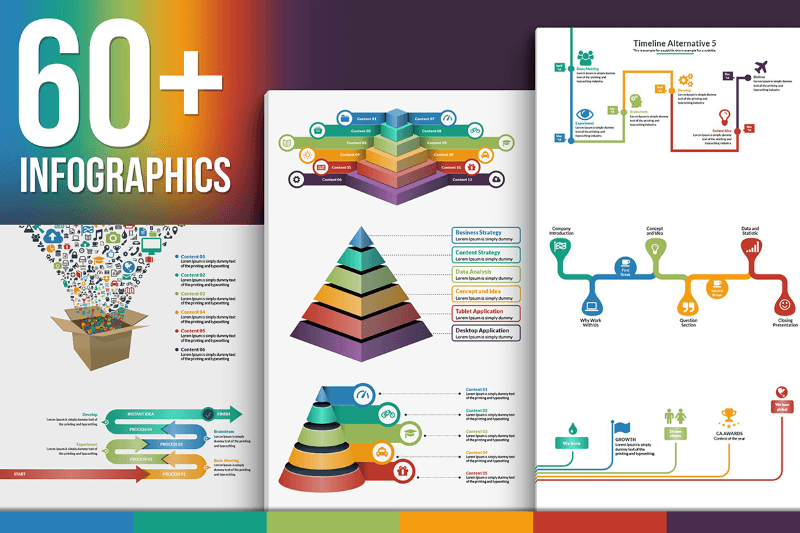 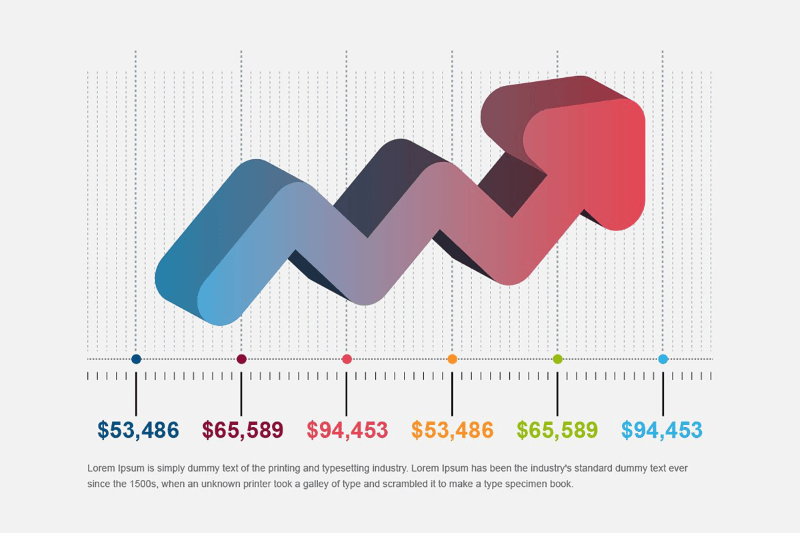 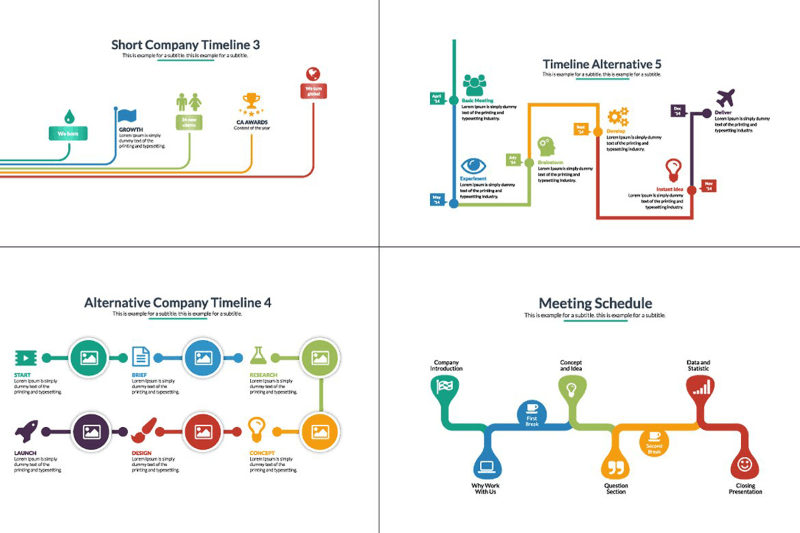 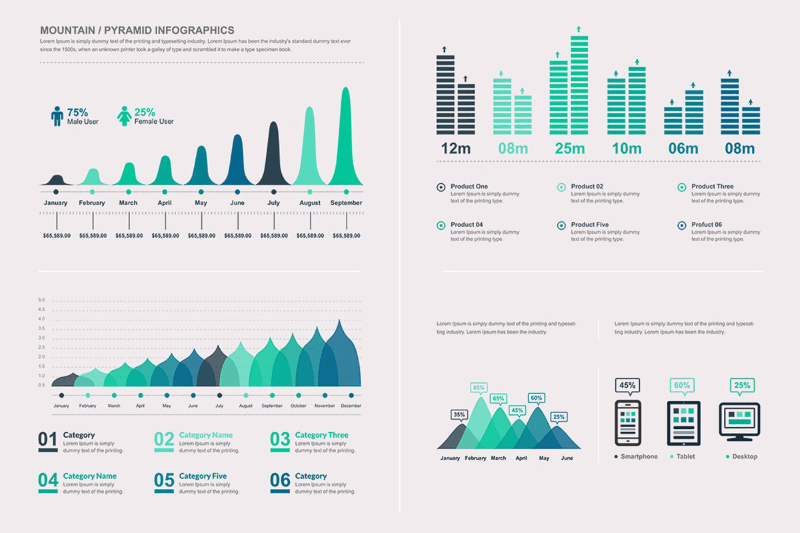 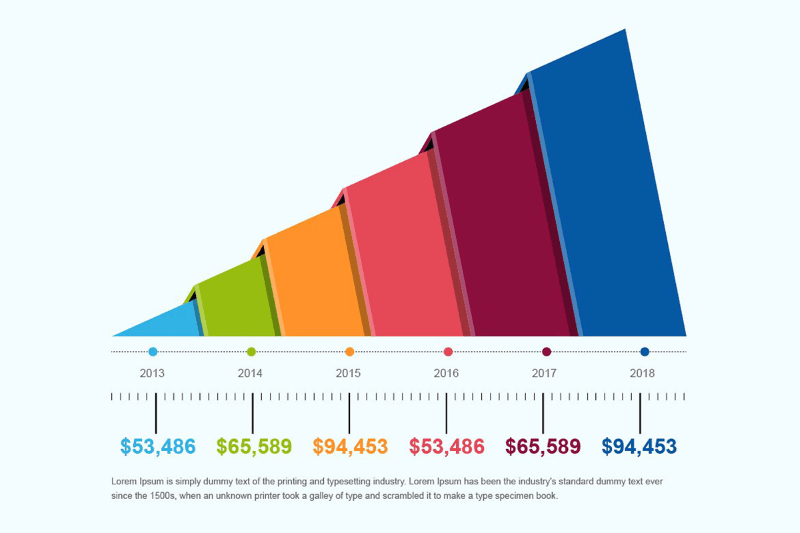 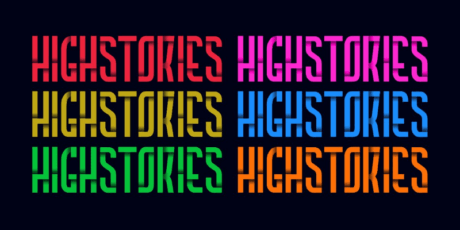 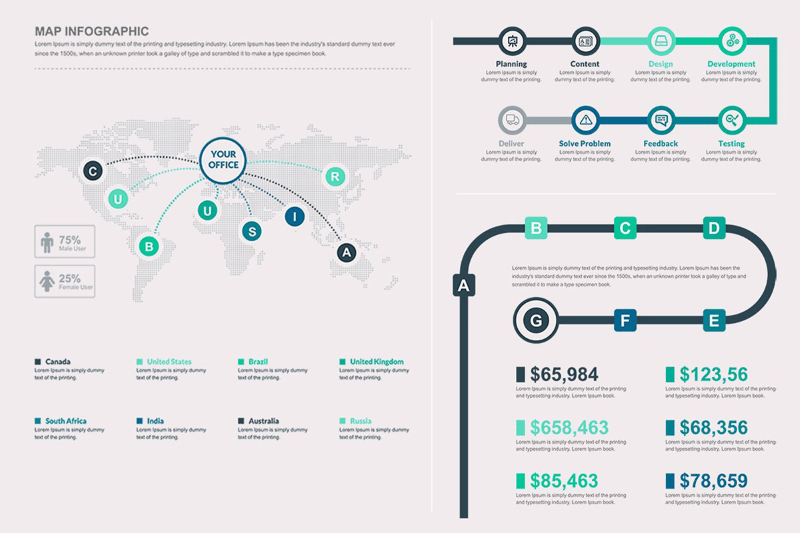 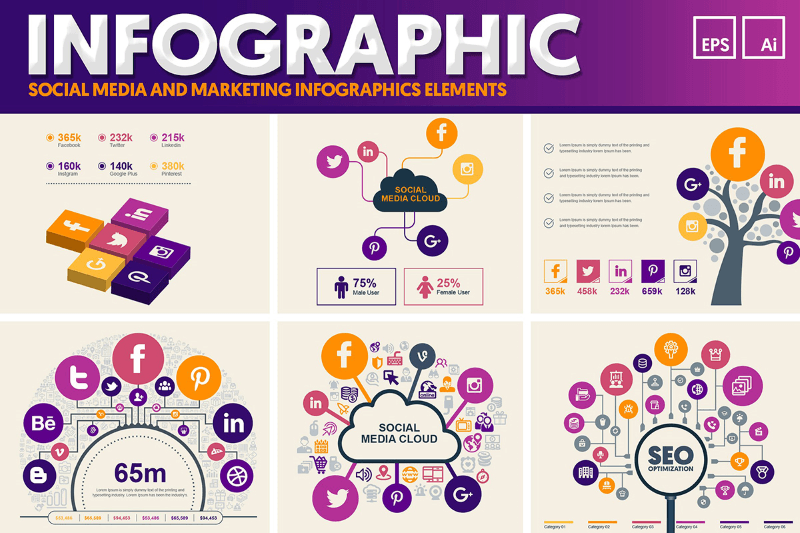 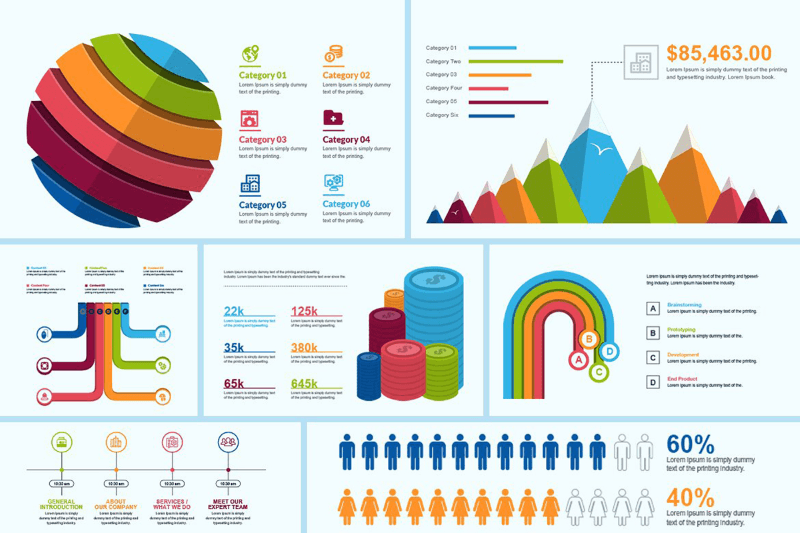 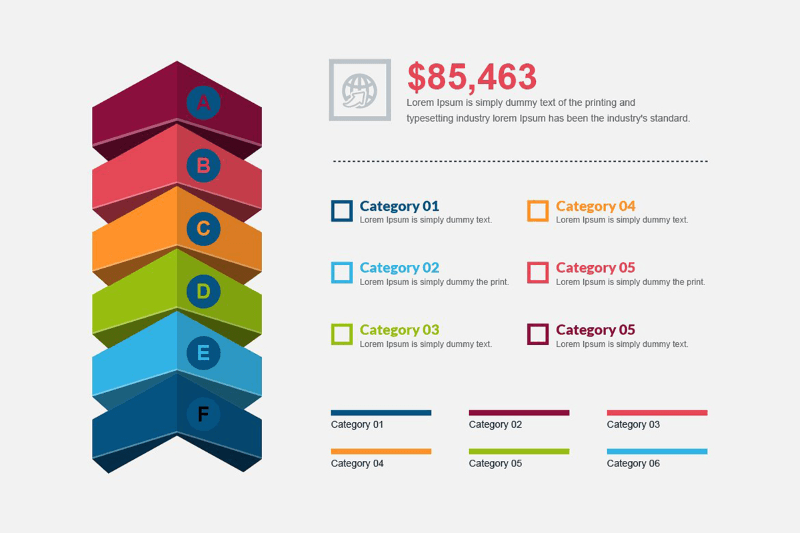 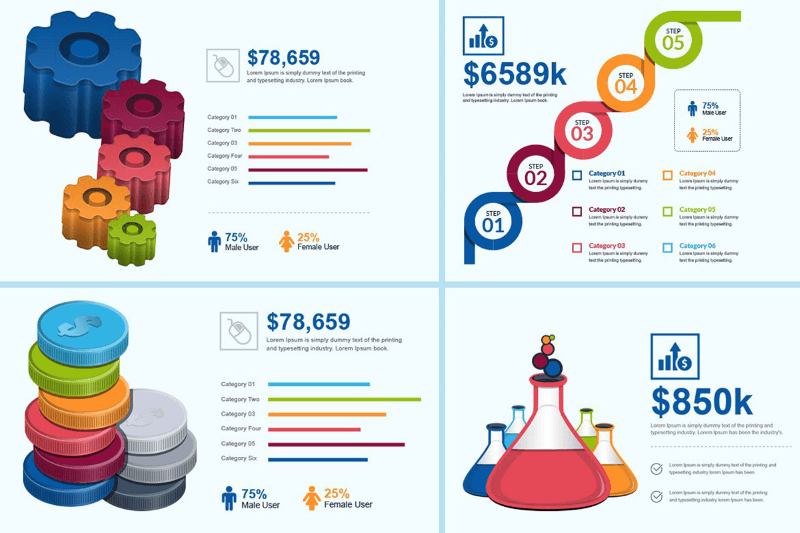 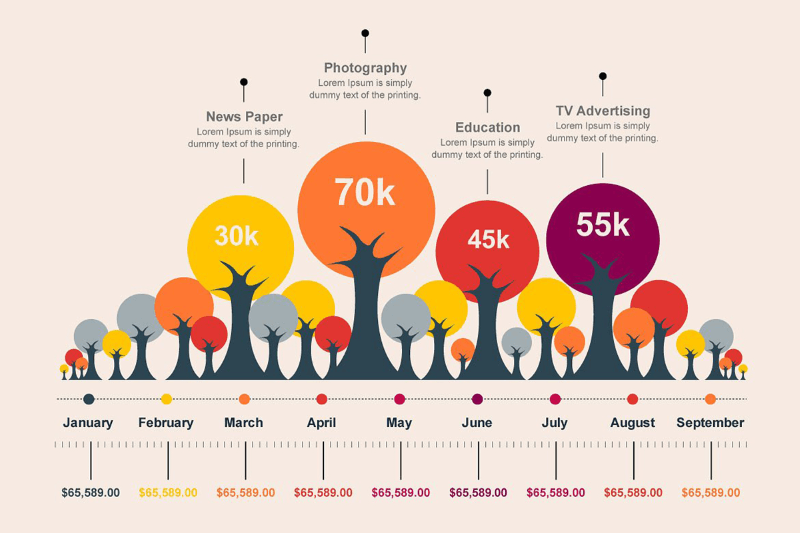 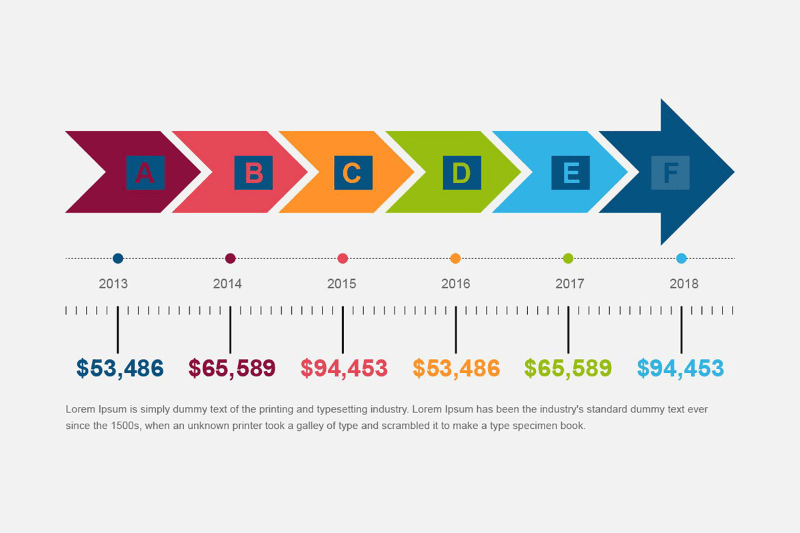 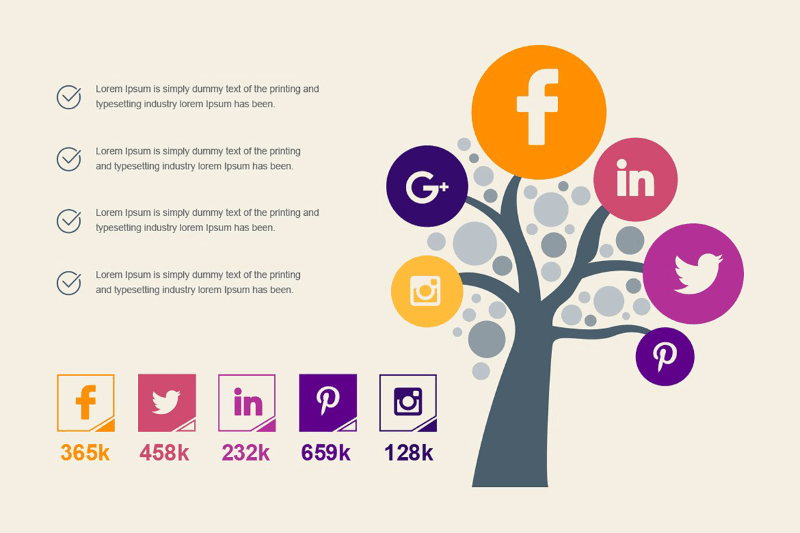 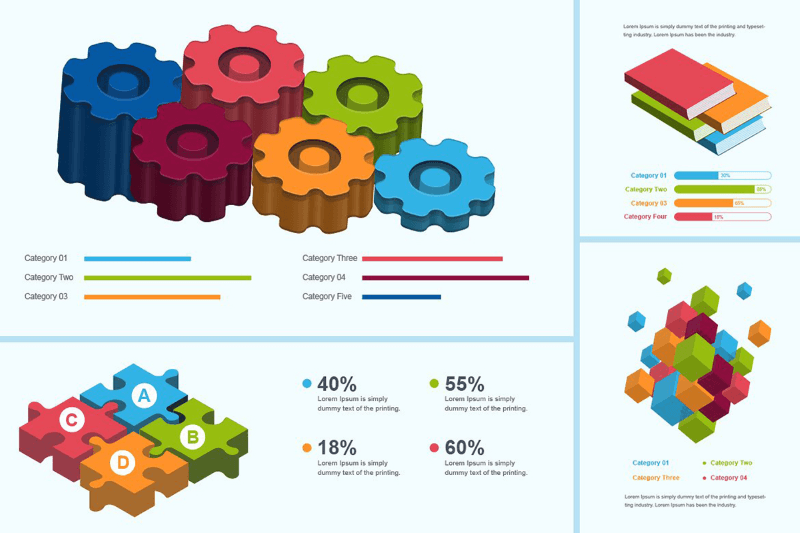 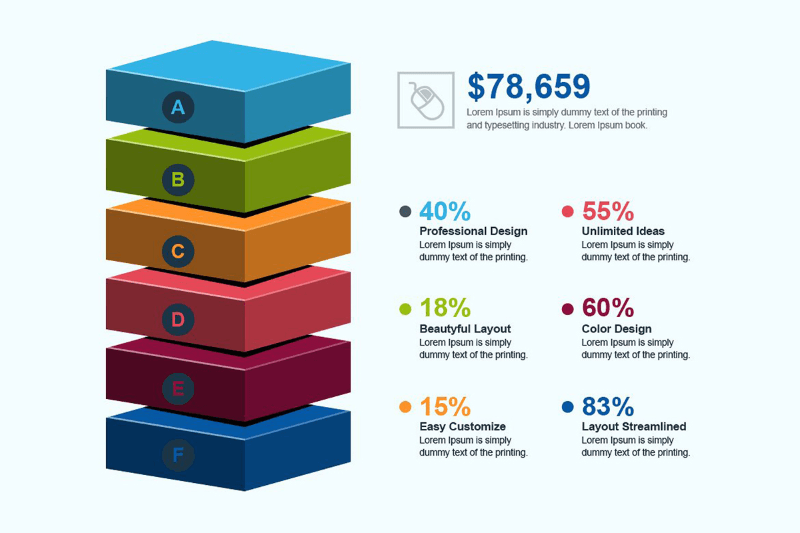 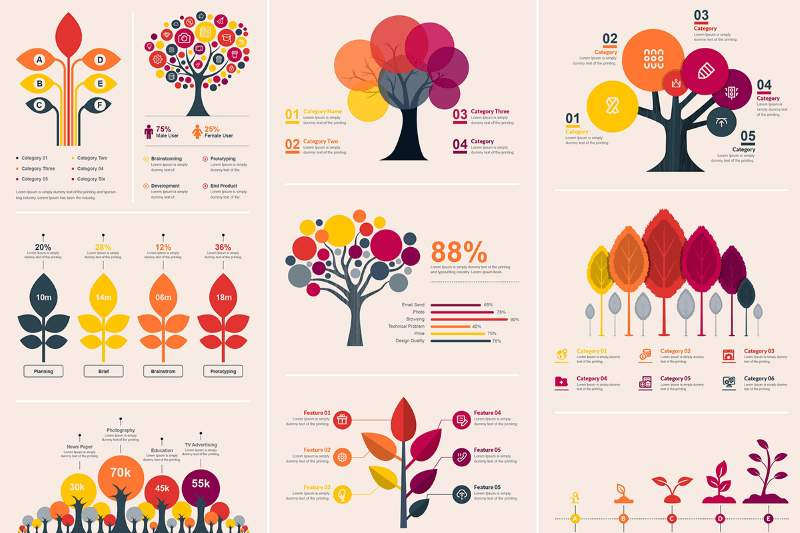 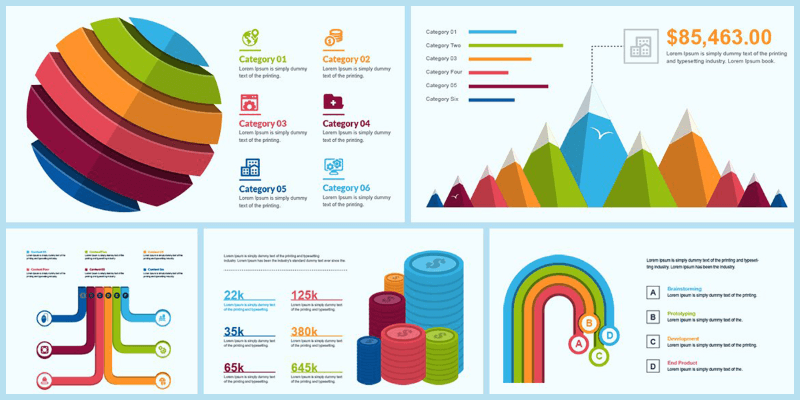 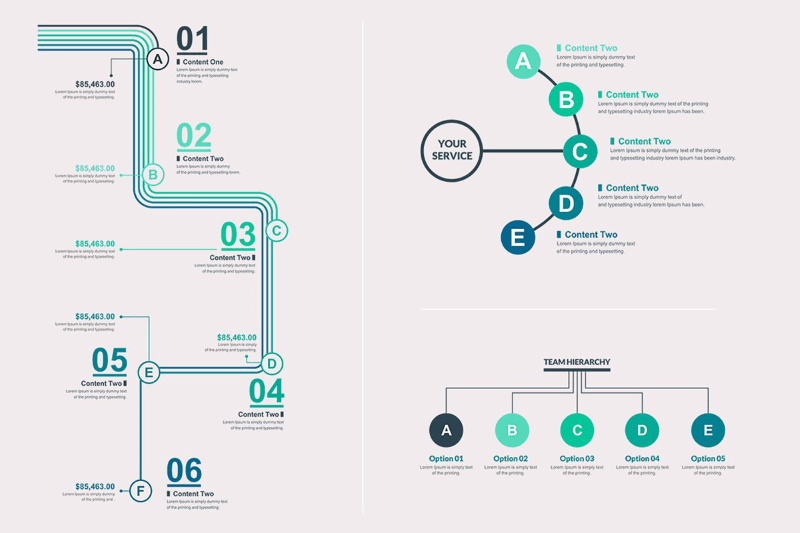 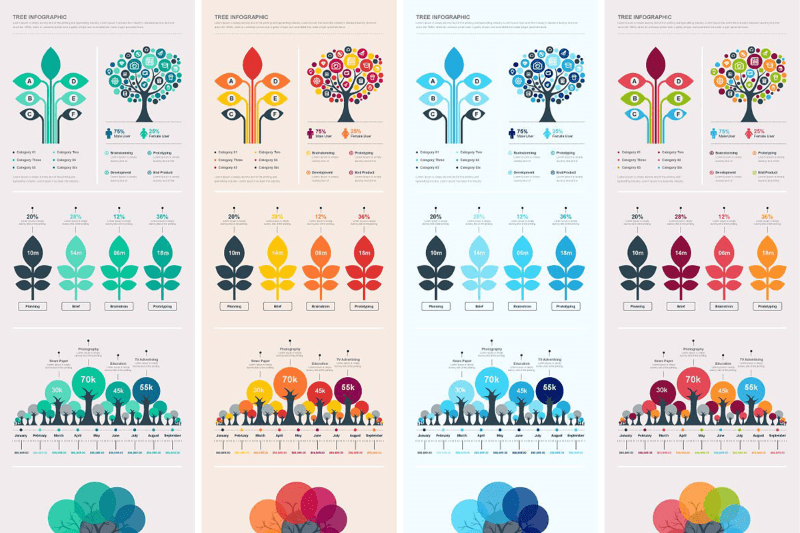 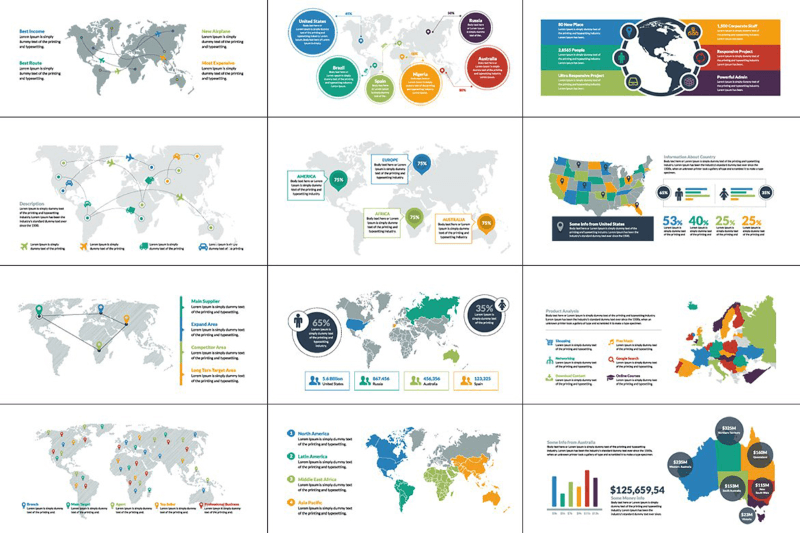 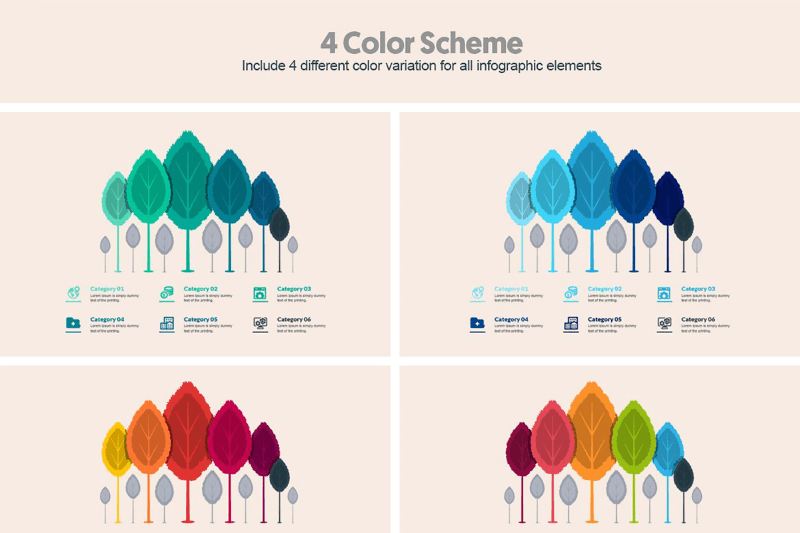 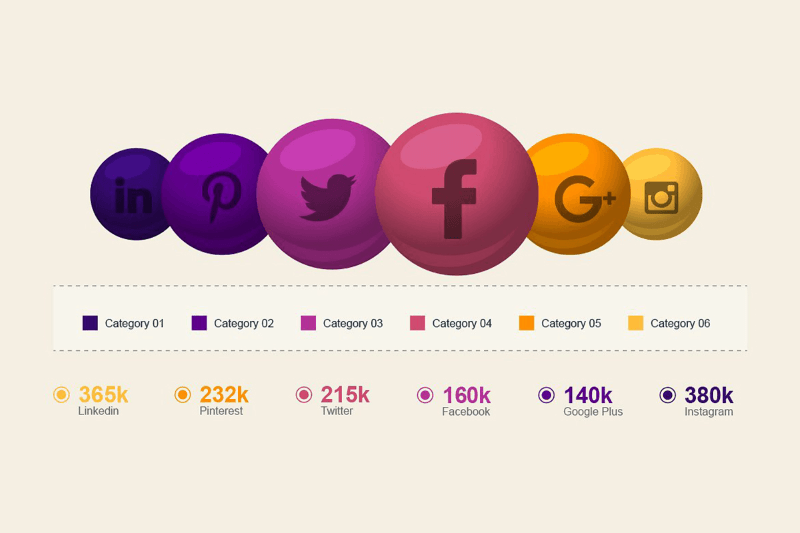 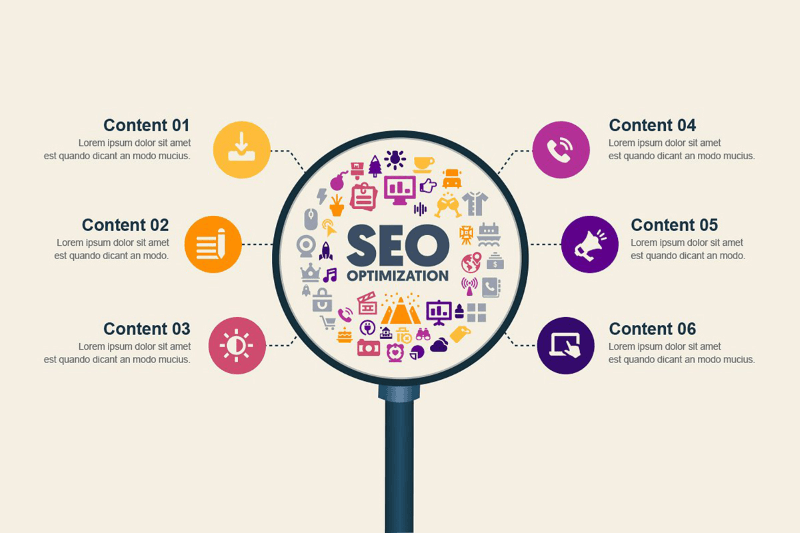 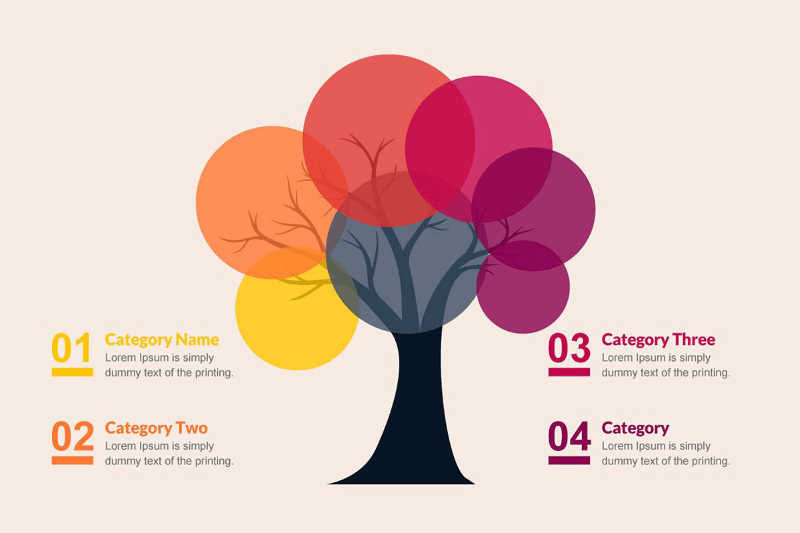 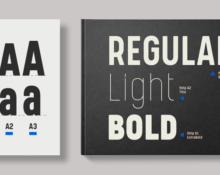 Regularly priced $200, today you can get this infographic bundle for just $12!